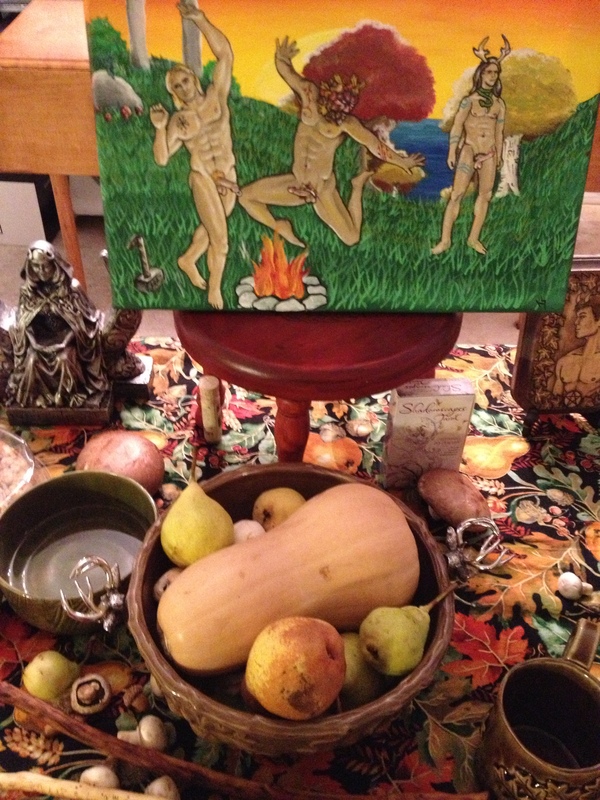 The members of SLPS met on Saturday, September 22, 2018 to honor the gods and accept the coming dark times of Mabon. The Fall Equinox brings in the spirit of the retreat, the inward lookings of the hermit figure, set for the six months between September 21st and March 21st, the Spring Equinox. 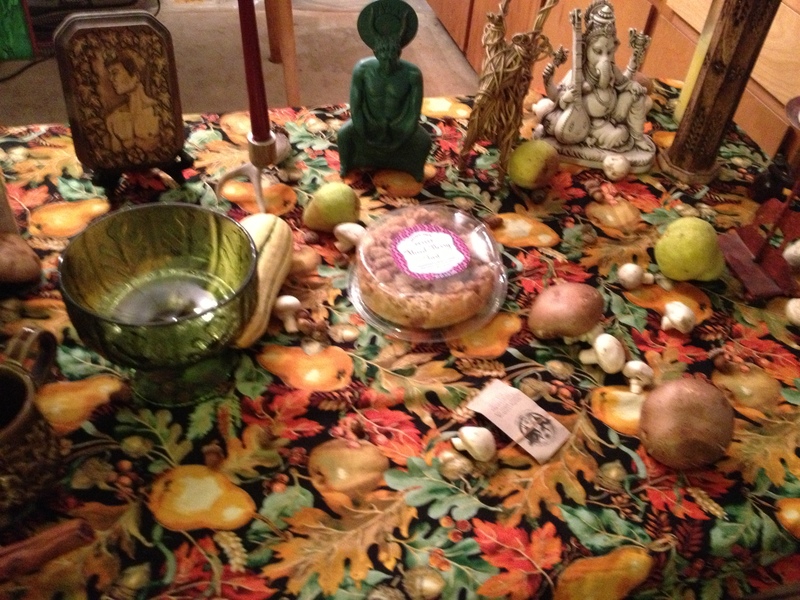 Offerings were given-seasonal fruits adorned the altar. Allegiances pledged while asking for guidance during this waning time. 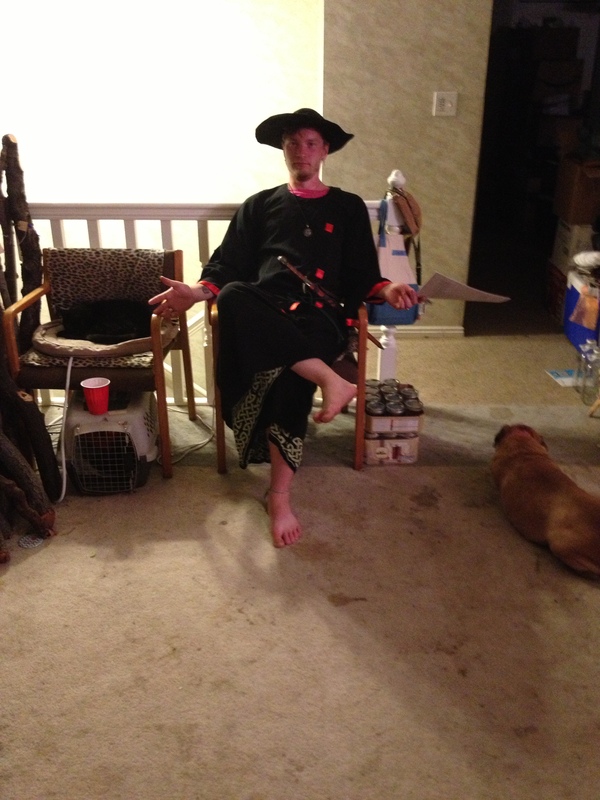 Kali Ma and Cernunnos were present to guide the attendees and give advice for the coming months. 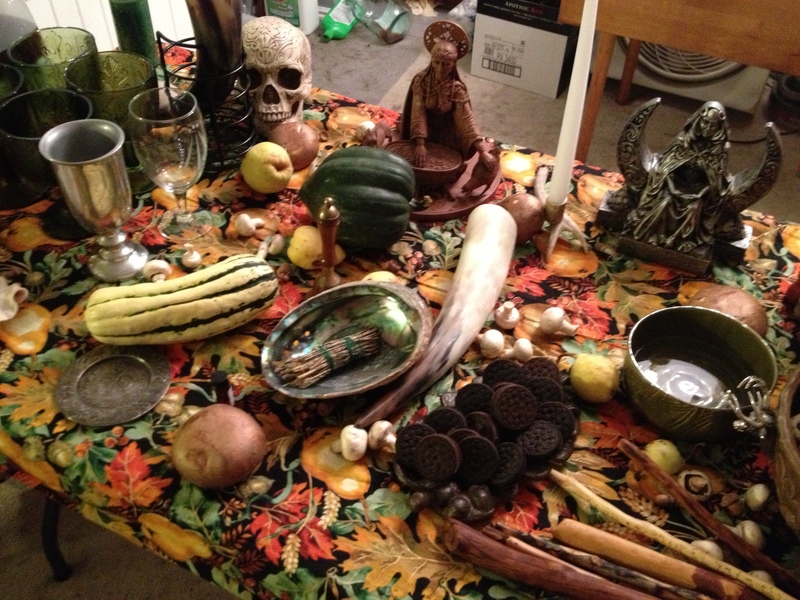 Mabon 2013 Ritual and Feast-The Dark Times have Arrived! 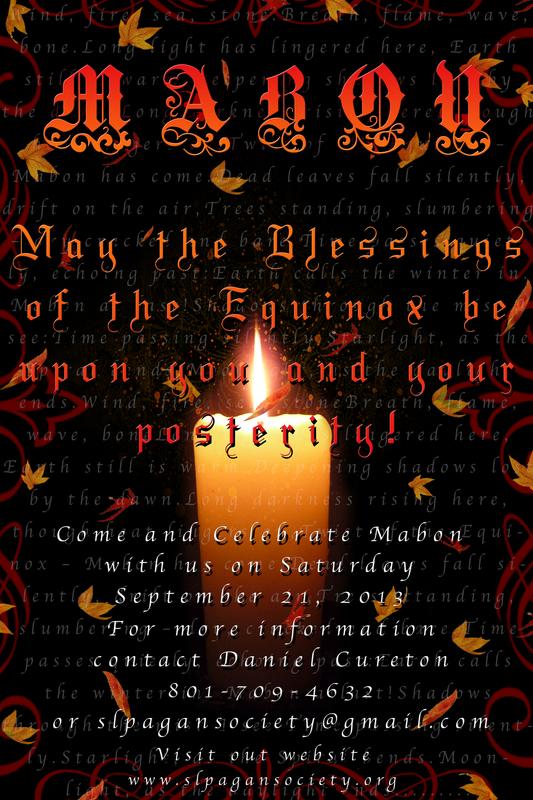 Saturday, September 21, 2013 brought the Fall Equinox known and Alban Elued or Mabon. After a bit of an unorthodox start, the ritual got rolling at 10pm (instead of the usual 6). 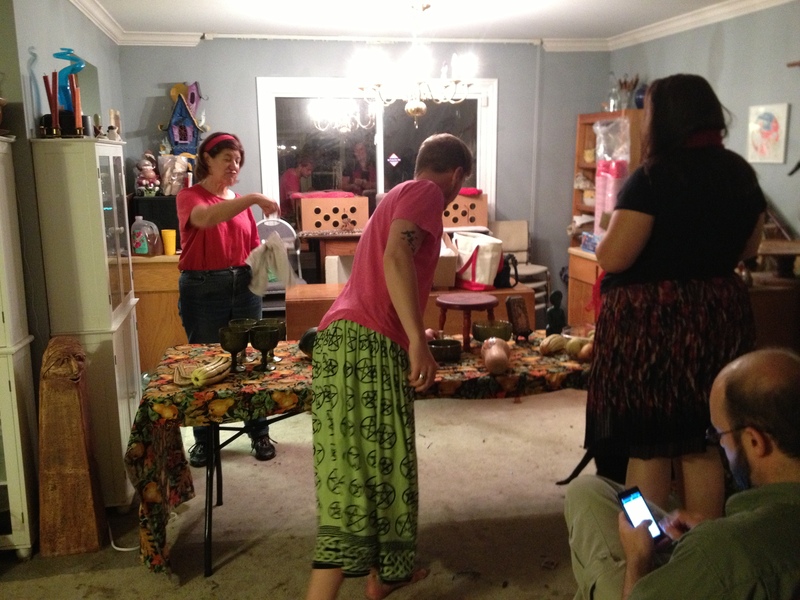 The ritual kicked off with the usual cleansing and spheres of protection. President Muad’Dib performed the druid opening rites and led everyone into the celebration of light and dark. The Hermit came knocking to the temple doors holding the light of life. He spoke to everyone, announcing himself as the guide of souls before passing his lantern to Ra who said his goodbyes from the light time of year and finally onto Cernunnos who takes over at this time. Cernunnos spoke of his support and love for each person, how they should not be afraid to push forward into the dark times and look into the soul. He blessed everyone and promised to walk the journey with them. Mabon magic was worked with everyone burning away a problem in their lives in the Cauldron Awen. 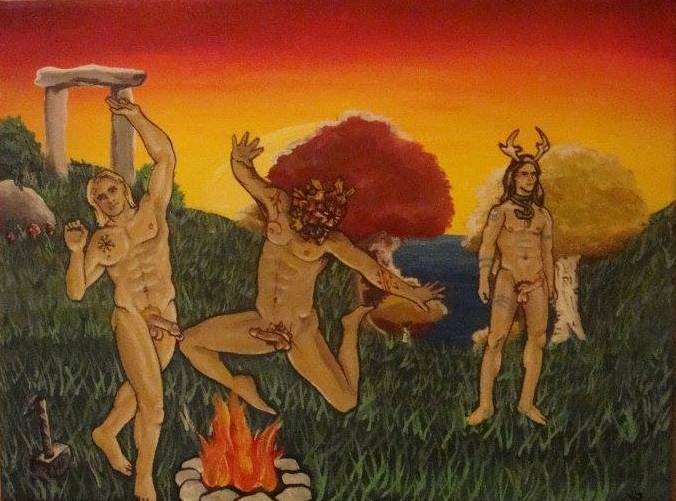 Esus danced in the circle as part of the druid rite of Alban Elued performed by president Muad’Dib. Ganesh stopped by as part of the Chaturthi celebrations to have a piece of pie and hear the Mabon poetry read, and with that, the ritual closed till next fall and the feasting of ribs and pickled mushrooms began. 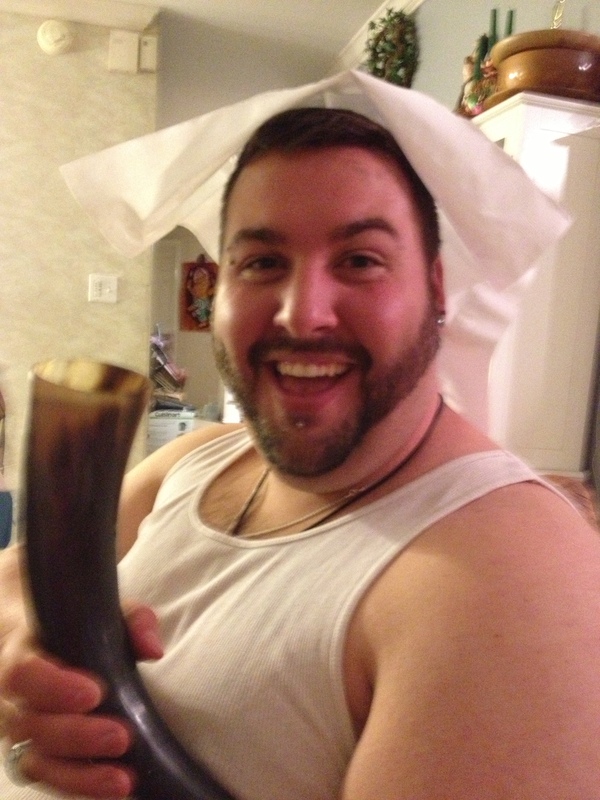 A heathen symbol performed with the traditional drinking horned being passed as cheers to the deities went up into the air late into the night. Thanks to all who came and made Mabon a terrific event! 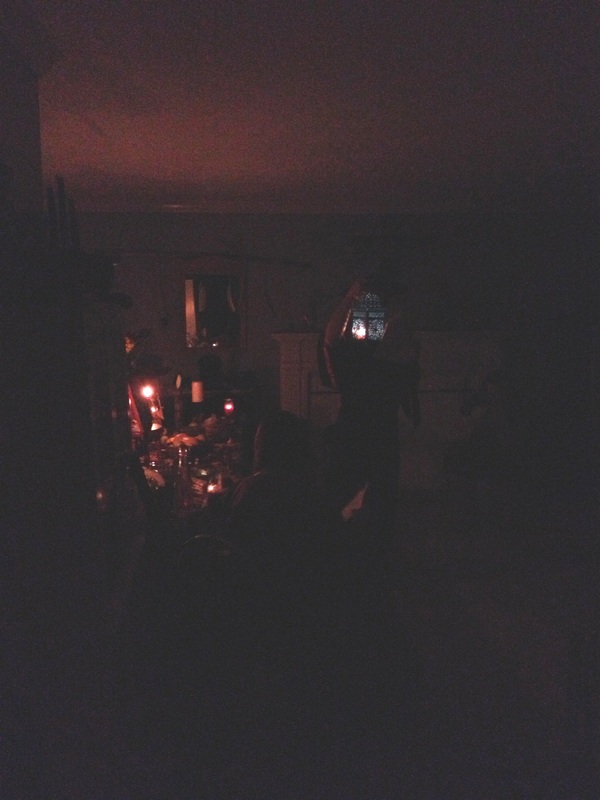 This past Saturday, September 22, 2012, UUPS met under the shade of pines to give honor and celebration to the passing of the light to the dark and the aging deities. Starting the ritual right after sunset, President Muad’Dib got things rolling with the calling the elements and deities and giving praise and honor to the aging Gods and Goddesses in the Wiccan Celtic pantheon. With a beautiful altar, all those present danced and sang while beating drums, shaking rattles and ringing bells! 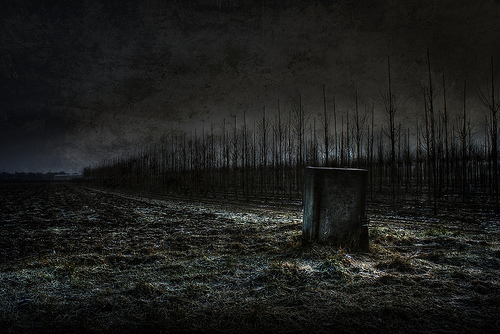 About then, the Hermit showed up carrying a lantern! It was the aged God! He divided the light from the dark and allowed Apollo to speak to us and to pass the lantern of light to the Shadow side of himself, the Lord of Shadow Cernunnos. The Lord of Shadow allowed everyone to banish something into the Mabon fire that they wish to work on before the light was dimmed. A meditation on the darkness followed for a few minutes before the Lord departed. Now all are on the path as the dark times move forward! Ganesh showed up in time for his birthday celebration! Lots of dancing and singing took place as Ganesh channeled himself into everyone present. 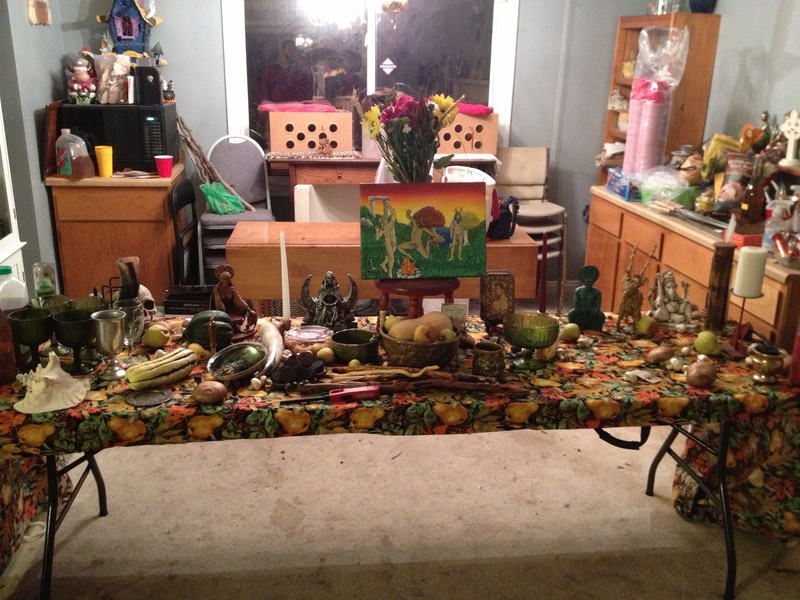 The closing of Mabon brought a memorial service for one of the members cats, Ms. Big Kitty. She passed on to the big castle in the sky with the Goddess at the age of 16. Condolences and words of comfort were offered before cakes and ale and the closing before the feast! 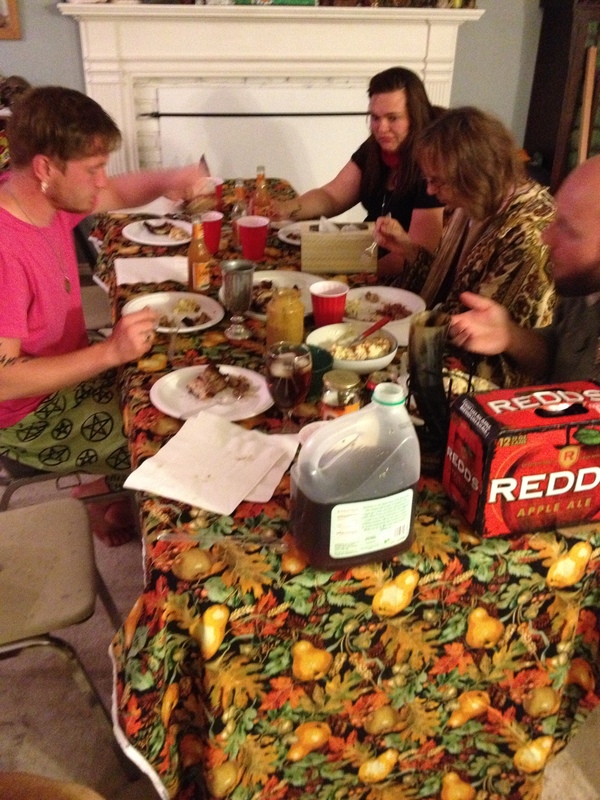 Feasting brought stuffed chickens, garlic mashed potatoes, sauteed mushrooms and more! 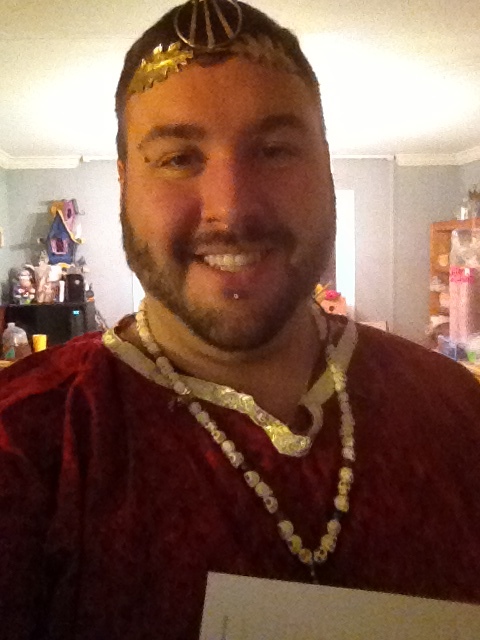 With wine flowing, Baccus was making his rounds! All had a wonderful and safe time at this year’s Mabon. Till next we meet under magic and moon at Samhain!